Since I am a American Idol expert. I think that it is only right that I give my ideas. Judges: Simon, Paula, Kara, and Ellen are now gone. There have even been talks of getting rid of Randy Jackson and wiping the judges table completely clean. Leaving the only thing original is the host Ryan Seacrest. I say not so fast! Here is my dream Judges table. I would of course leave Randy Jackson because you don’t want to give viewers too much of a shock. Randy is also a important judge. Randy is a establish session player, who has played the bass guitar on both Mariah Carey and Whitney Houston albums. He is also a successful A&R man. Basically he actually knows what he’s talking about. Whitney Houston: This is what Whitney needs to be doing. She can be motherly and also crazy at the same time. Whitney is a Diva and at one point was one of the biggest stars in the world. She will always be regarded as one of the best singers of all time in her prime. Decades from now you will hear Whitney’s name still mention in the lines of Ella Fitzgerald, Aretha Franklin, and Judy Garland. She knows what it takes to get on the stage and perform. She’ll also be entertaining as hell. Whitney is a funny lady. David Foster: The man to replace Simon Cowell. This man is a brilliant songwriter and producer. Producing Whitney Houston’s “I Will Always Love You” and not to mention the rest of the Bodyguard album. It’s been said that David Foster makes famous singers into Superstars. Who else has worked with: Whitney Houston, Mariah Carey, Michael Jackson, Rod Stewart, Prince, Monica, Brandy, Paul McCartney, Natalie Cole, Leanne Rimes, and so many more. He has also worked with former American Idol champ Kelly Clarkson and Season 2 runner up Clay Aiken. David has also served as a mentor on American Idol in 2005. Oh and just for notes he’s also from Britain like Simon. 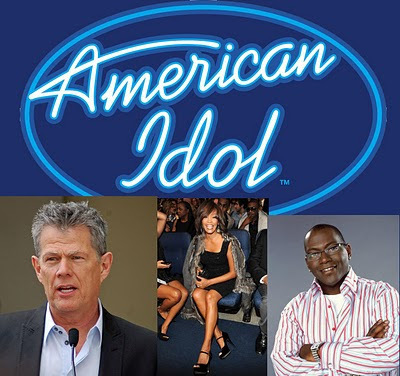 David Foster, Whitney Houston and Randy Jackson <-- Now that’s entertainment with substance! Oh Whitney... if she could stay drug free long enough to actually be able to judge this competition that would be amazeballs... but then again, she has the right mix of crazy (like Paula did) so she'd be great for ratings. I think you're on to something with your judge selection. Good job, D.